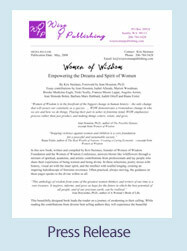 In this award-winning, Amazon best selling book, written and compiled by Kris Steinnes, founder of Women of Wisdom Foundation and the Women of Wisdom Conference, answers bloom like wildflowers through a mixture of spiritual, academic, and artistic contributions from professionals and lay people who share their experience of being women and being divine. In these selections, poetry mixes with history, visual art with the inner spirit, and the intellect with soulful longing, creating an inspiring kaleidoscope of feminine reverence. 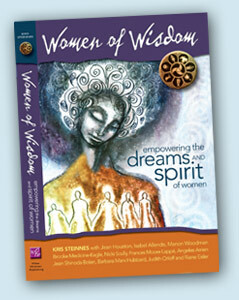 Often practical, always moving, the guidance on these pages speaks to the divine within us all. 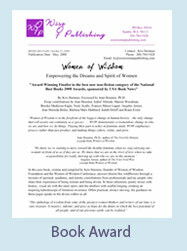 Women of Wisdom is perfect for people who desire to discover their heart’s purpose, find support for their journey, and be inspired and motivated by great teachers and people like themselves. Each chapter has self-exploratory questions for the reader to have a personal experience with the authors. Reading the book allows one to feel as if they are attending one of the conferences. 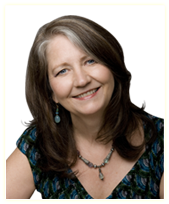 About the author: Kris Steinnes is the visionary founder of Women of Wisdom Foundation and in 1993 she organized the first WOW Conference in Seattle. Year after year she has brought together women leaders from many fields to share their experiences and help build a world in which women’s voices are heard and feminine wisdom can be lived to its fullest. 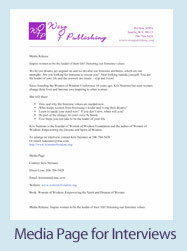 Kris has a commitment to bring feminine consciousness to the fore of our collective experience.